When Ben Cattaneo started the All Things Risk podcast, he very deliberately stayed away from discussing the risk management profession (which is also my day-to-day profession). This is because he wanted the show to make risk and uncertainty concepts available to everyone. He didn’t want to make a podcast by risk professionals, for risk professionals. Risk isn’t something to be the sole domain of a small group of people with their own jargon and technical language. Risk is all around each and every one of us. As my signature sign-off goes, “risk is life”. This is why his guest on this episode is Alex Sidorenko. Alex is the founder and CEO of The Risk Academy. He is a Russian-born Australian who currently lives in Spain. Alex is an extraordinary guy who, as any excellent risk professional does, thinks and acts counter-intuitively. His insights on how to think about risk and where the risk profession needs to go are profound and have parallels in many other domains. 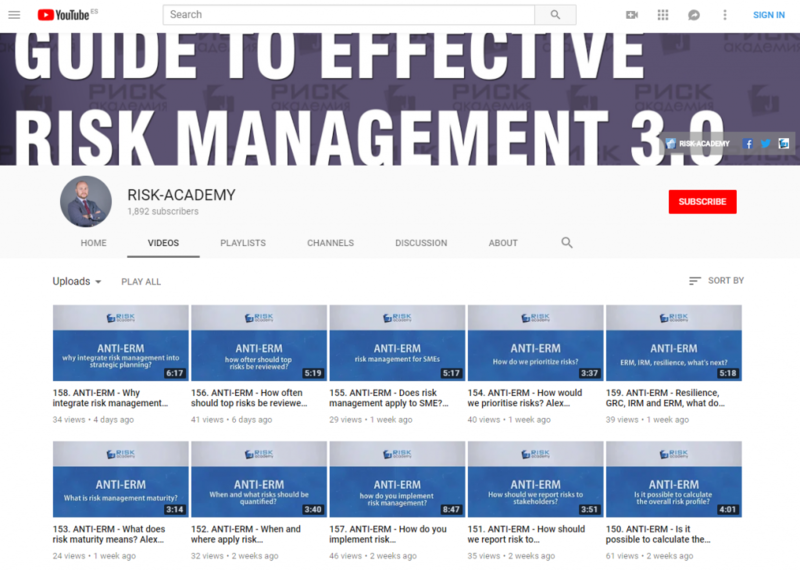 Previous: Previous post: What is risk management?